Grouping of 3 Grand Tour items. 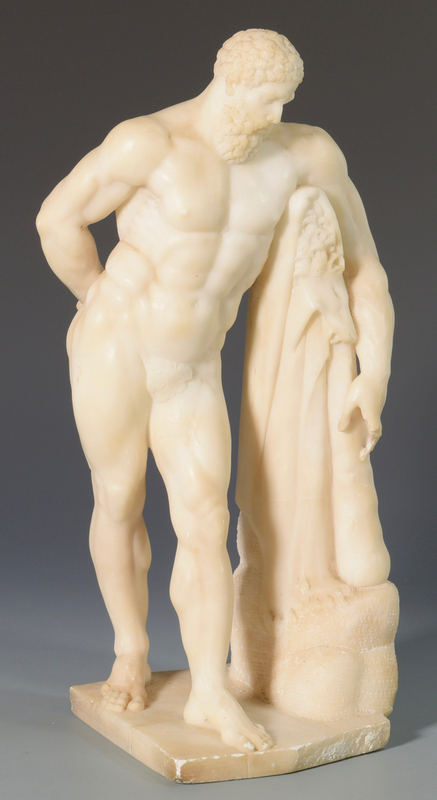 1st item: Alabaster Standing Hercules Figure modeled from the Ancient Roman/Greek Farnese Hercules marble statue in the Naples National Archaeological Museum. (The Farnese Hercules measures approximately 10' 8" H and was rediscovered in baths of Caracalla, Rome in 1546). 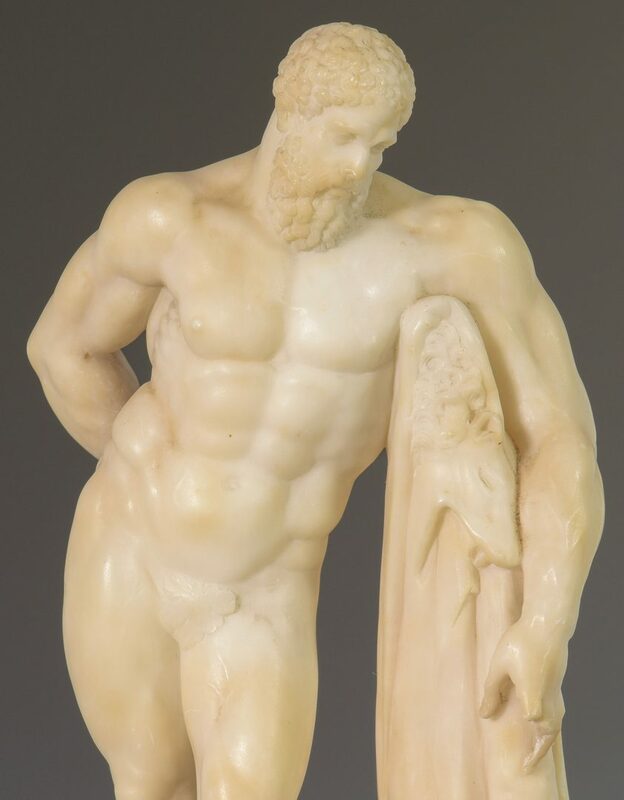 15" H x 7" W. 2nd item: Classical alabaster plinth carved to depict a lion-like creature biting an archery quiver, surmounted by a club to form an "X" shape, surrounded by foliage and a decorative ribbon above, with a rosette in the center. 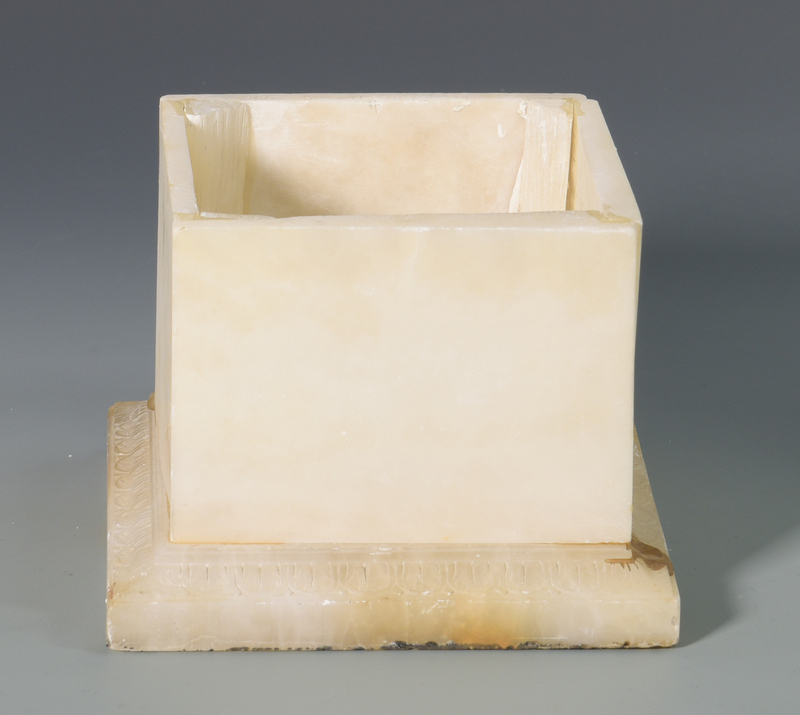 Alabaster base incised with an egg and dart pattern. 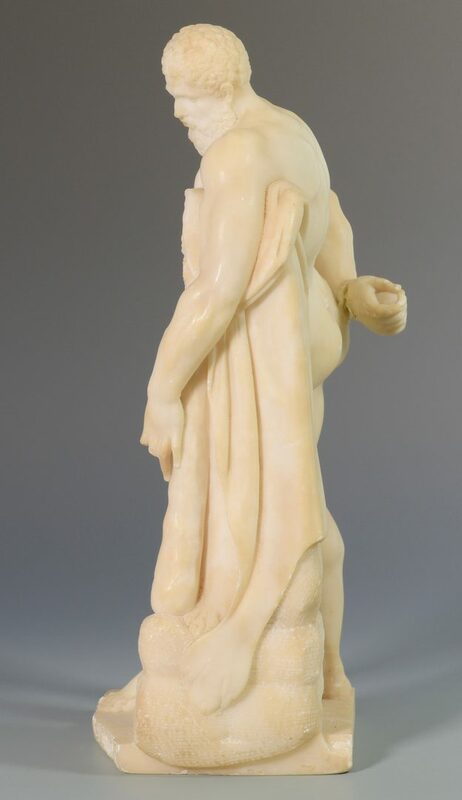 Oval piece of alabaster included. 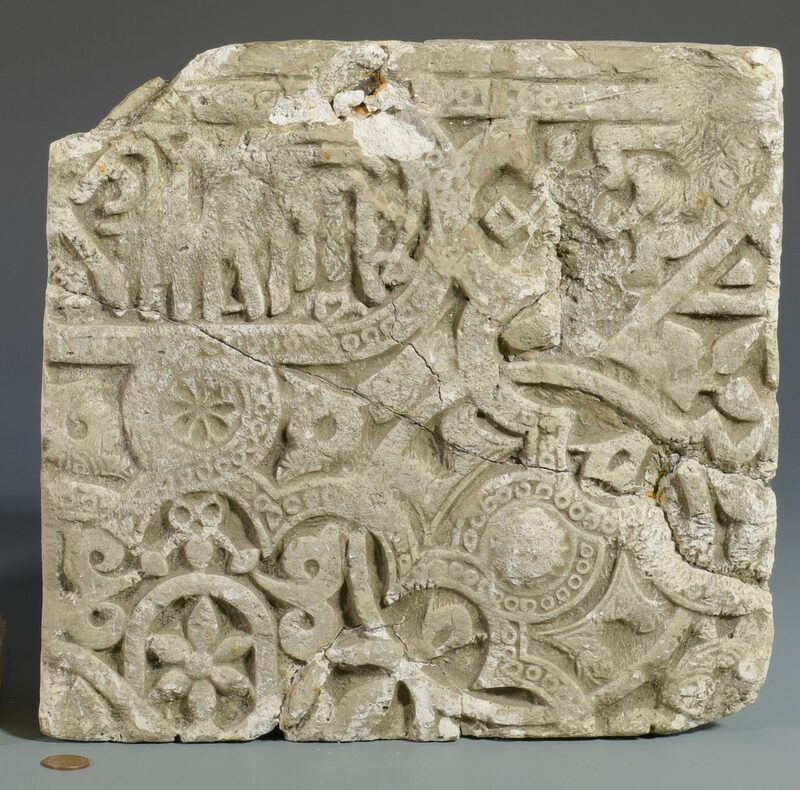 Plinth with base – 5 3/4" H x 6 1/4" W X 6 1/4" D. 3rd item: Plaster architectural fragment with Islamic motifs, including tessellations, arabesques, and calligraphy. 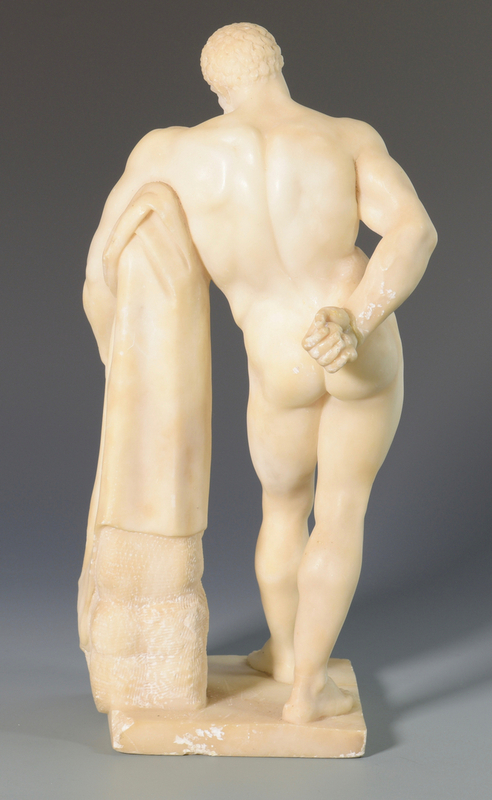 11 1/4" H x 11 3/4" W x 1" D. Note – A number of objects from the Yeatman/Polk estate are Grand Tour related. 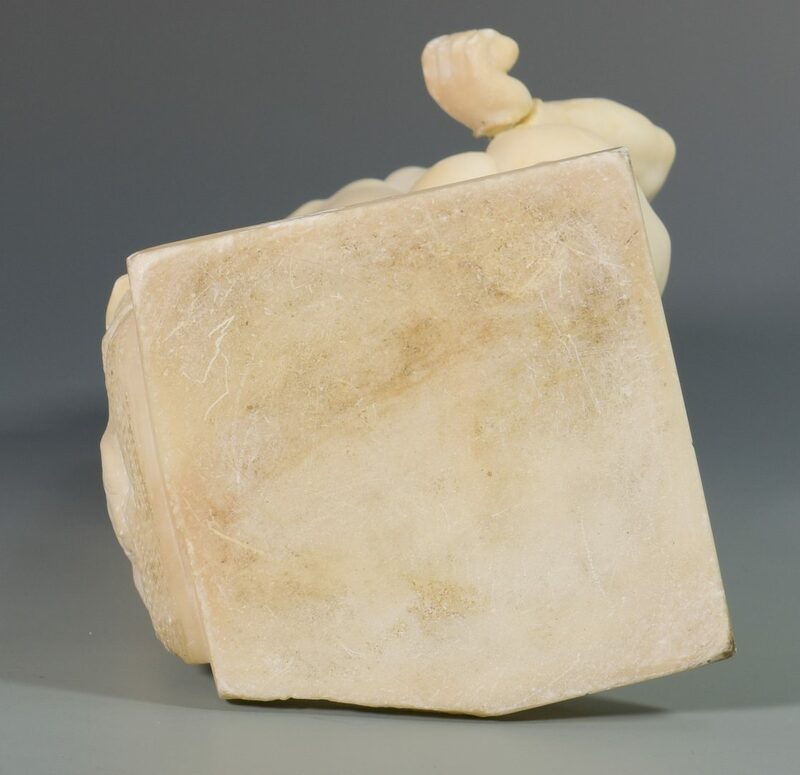 Oral history for the architectural fragment was associated with the Parthenon. 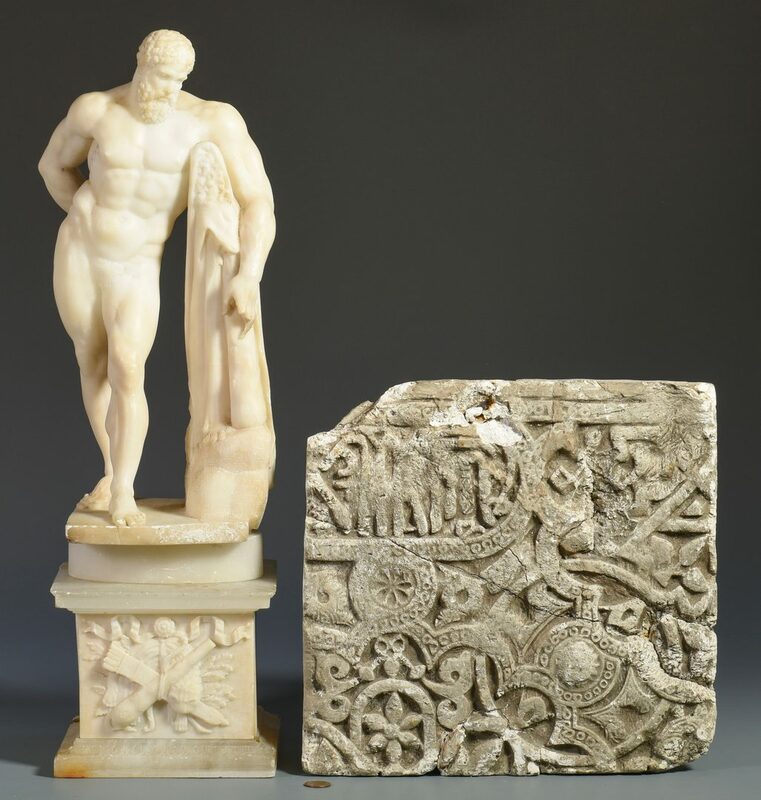 Whether this fragment is a plaster casting obtained from a 19th century European Grand Tour in Greece is unknown. Provenance: The estate of Jean A. Yeatman and Harry C. Yeatman, formerly of Hamilton Place Plantation (near Columbia, Tennessee). 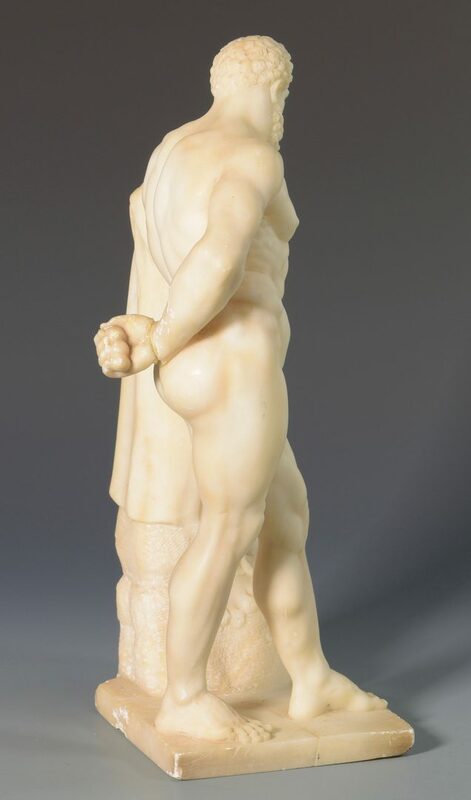 CONDITION: 1st item: Hercules' left hand broken, base broken. 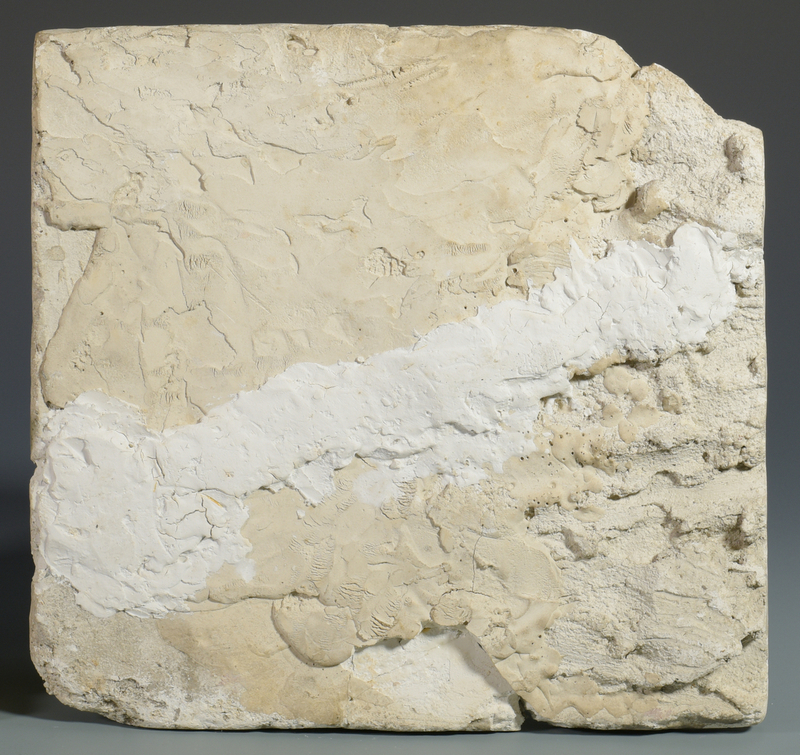 2nd item: Chips to plinth, sections pasted together with brown glue, brown discoloration on lower left, base cracked and reglued. 3rd item: Severely cracked and repaired on back, cracks and chips on surface.